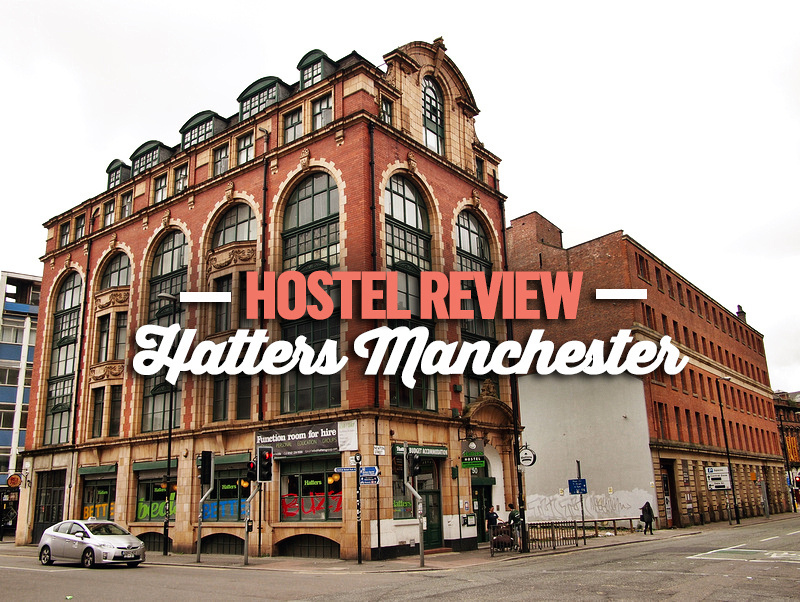 I stayed at Hatters Manchester hostel in Manchester. I booked online 16.50 GBP ($23 USD) and booked it for its location, which is an easy walk from Manchester Piccadilly train station. 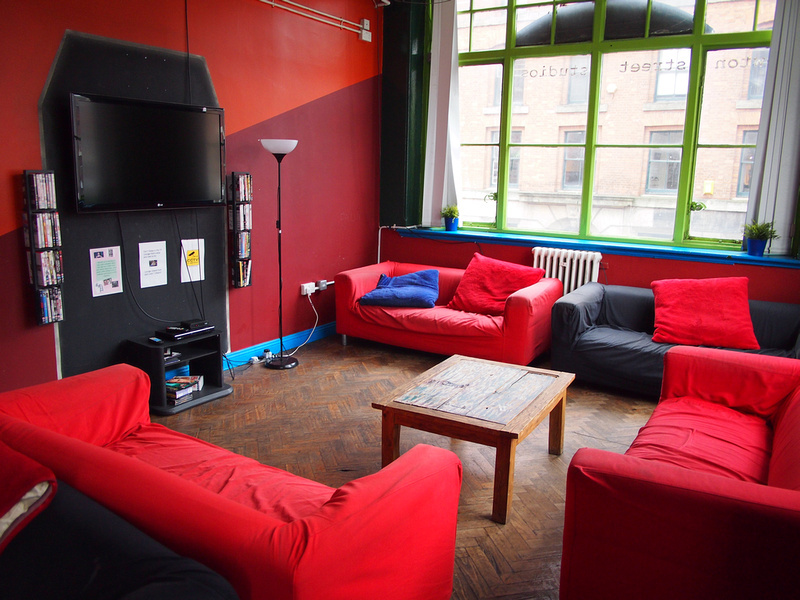 The hostel occupies a grand old warehouse building that stands alone on a corner. There are lots of classic buildings like this in Manchester and it is great to see this one being put to good use. Manchester is famous for its Victorian-era industrial architecture so it was great to stay in such a place. 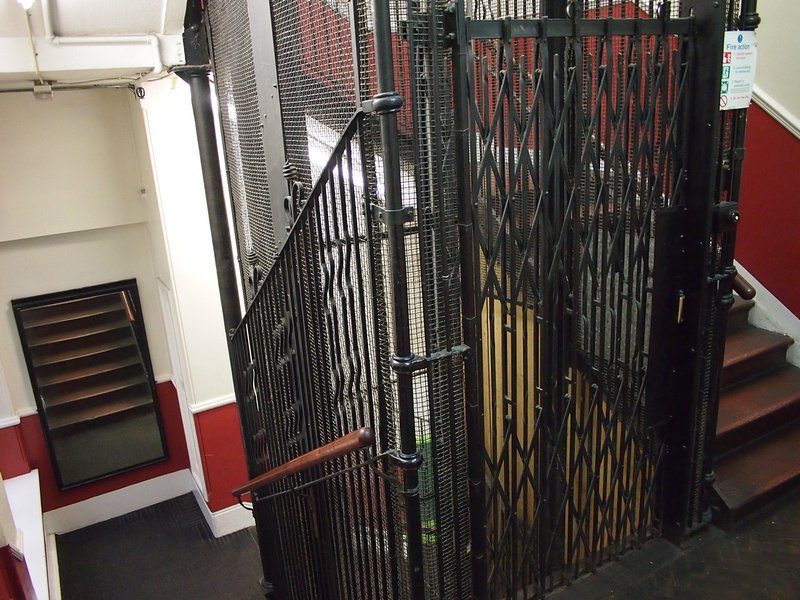 The building still retains some of its original features, including the cage elevator inside the stairwell. 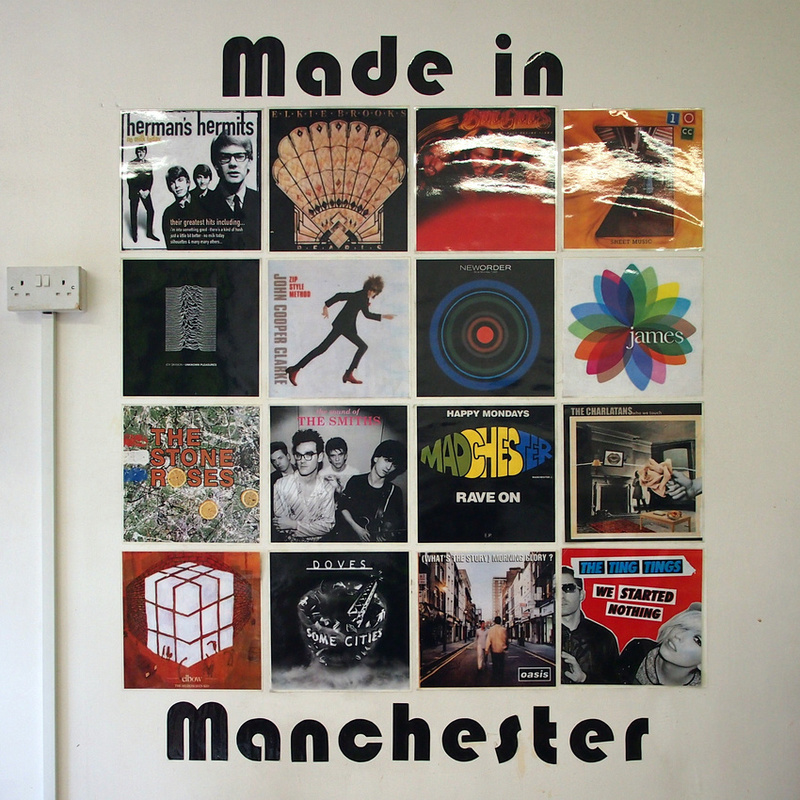 The hostel is decorated with Manchester-related pop culture, such as this wall of albums of Mancunian bands. I stayed in an 8-bed dorm which is more than what I would normally choose but I made an exception here. 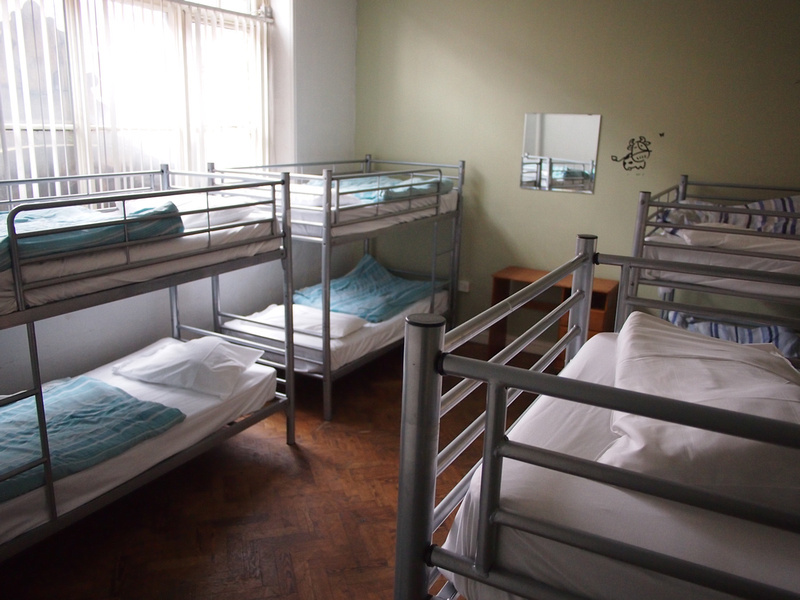 The dorm was spacious and well aerated (so no dorm-stink) though it is a bit of an old dorm now when compared with modern dorm amenities. For example there was only one power outlet in the room, so the lucky person whose bed it was next to got to charge their mobile phone overnight. There were no lockers in the room or places to hang things either, and only a common light. There were lockers outside in the hallway. There is a good TV lounge with a big TV and comfortable couches. 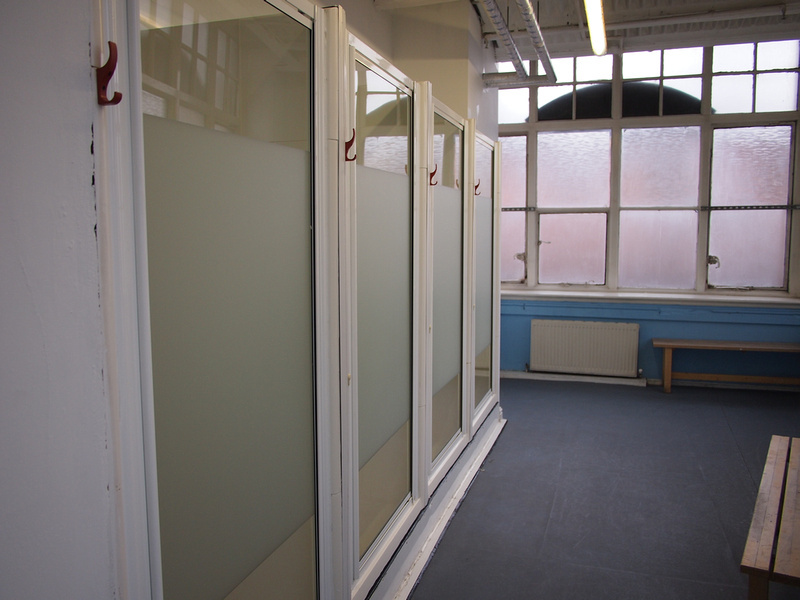 The showers were clean and tidy, though felt a little institutional. They had the press button showers that time out. 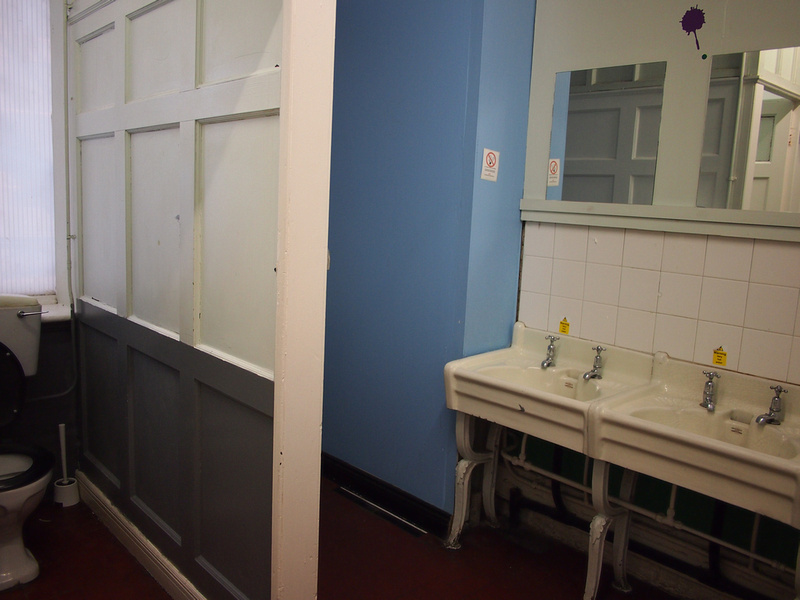 The toilets were well kept for their age but it got a bit cold in there. 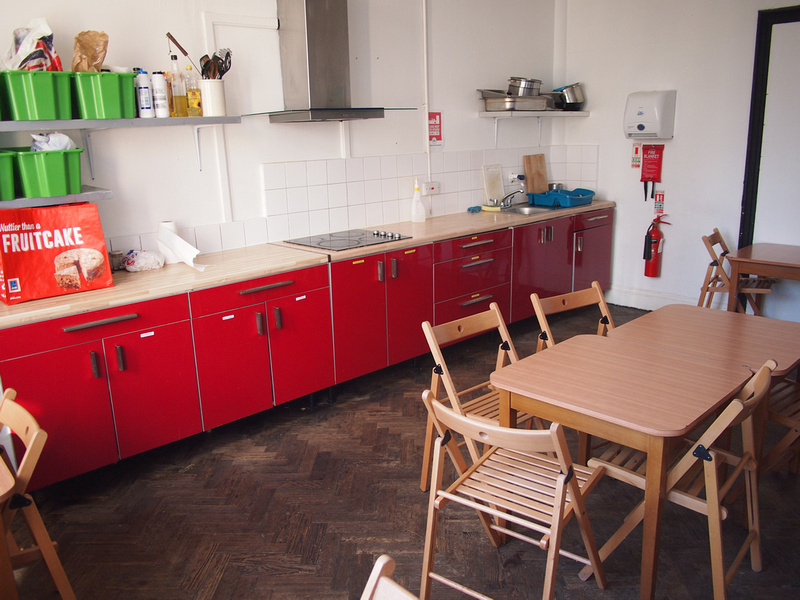 The is a big common kitchen for those who like to self-cater. 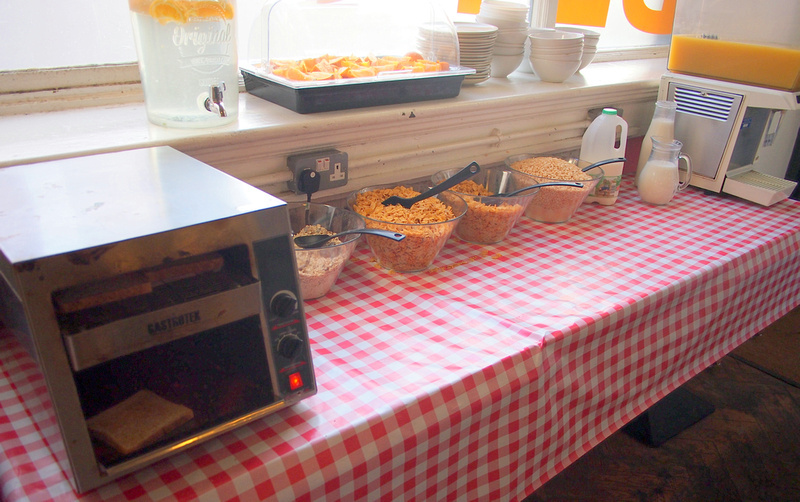 Breakfast is included and it is a help-yourself buffet of cereal and toast. Overall this was a cool hostel to stay at with it being in a great building and location. They just need to modernise the dorms with more power outlets and personal reading lights. 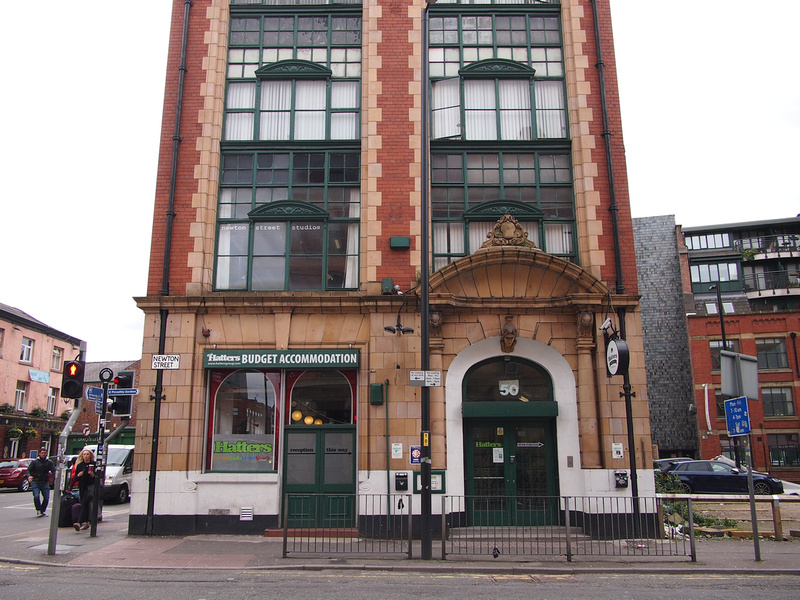 Book the Hatters Manchester online or search for more hotels and hostels in Manchester.